The Jesus Prayer, otherwise known as "Noetic Prayer" or the "Prayer of the Heart", is Orthodox Christianity's best kept secret. It is the universal language of the saints by which the Holy Spirit prays unceasingly in the purified heart of the Christian and is the source of authentic joy, love, and other divine gifts. It unites the believer with God and makes one a participant in His divine glory. In the West many may have first heard of the Jesus Prayer through the American novelist J.D. Salinger, whose book Franny and Zooey is often creidted by spiritual seekers of the West as first introducing them to both the Jesus Prayer and the Russian tale The Way of a Pilgrim, which is essentially an introduction to The Philokalia. These latter two manuals are essential guides to the art of noetic prayer. 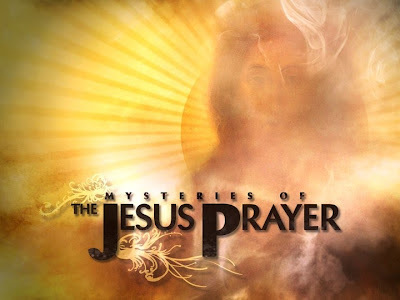 The documentary "Mysteries of the Jesus Prayer" is a visual guide and contemporary teaching tool to this powerful prayer as it is practiced today in some of Orthodoxy's most famous monasteries. Norris J. Chumley and Rev. Prof. John McGuckin lead us on a pilgrimage to shrines that have never been filmed before in places such as Egypt, Mt. Sinai, Mt. Athos in Greece, Romania, Ukraine and Russia. In each place they speak with contemporary elders, church leaders, and simple monks and nuns, who speak of their daily experience with the Jesus Prayer and the relevant role it plays in transforming the inner man which in turn helps to transform the world. In the ancient setting of their monasteries the viewer sees that this prayer, "Lord Jesus Christ Have Mercy On Me", is a tradition from the beginnings of Christianity and still remains the primary focus of monastics and for all devout Orthodox Christians in general. I highly recommend this film which took eight years in the making and is filled with stunning locations, informative narration, and invaluable spiritual insights.